Jaisalmer, the land of the Sonar Kella. Something about it immediately conjures up images of the beloved film in our minds. 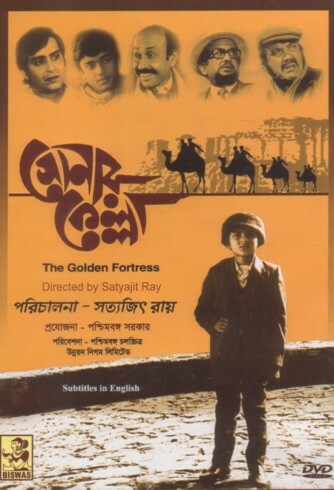 We both have seen the Satyajit Ray classic so many times that we wanted to relive the entire story in the Golden Fort. Needless to say we had the most awesome time in the Thar Desert and a thoroughly romantic holiday. As we walked in the serpentine lanes inside the fort (the only historical fort in India inside which people still reside), we felt like being one with history. And I, the moviebuff that I am, kept identifying the places that appeared in the climactic moments of the film. Yes, I could recognise many of them! The 1974 film is perhaps the best children's film ever made. But defining it as a children's comedy thriller would be undermining its brilliance. It is a masterpiece that can be enjoyed by movie lovers of all age groups, and shapes and sizes. A gripping adventure centered around the super sleuth Prodosh Mitra and his satellite Topshe, Sonar Kella will never become old. It was forever fresh for my father, it's forever fresh for me and I will ensure that my children know what a sparkling piece of work it is. If Satyajit Ray became a global phenomenon in the world of cinema with Pather Panchali, it is with Sonar Kella that he stamped his authority on wholesome entertainment. Sudhir Dhar (Sunil Sarkar) and his wife are extremely worried about the fact that their six-year-old son, Mukul (Kushal Charaborty) spends sleepless nights drawing pictures of forts, camels and battles. When asked about his queer habit, he keeps mum but occasionally responds with vague sentences like, "This is my house. That is where I played. I have seen battles." When a press reporter interviews the boy, he mumbles something about seeing precious gemstones in his house in his past life. The popular decision about Mukul is that he is haunted by memories of his past life. Dr Hemanga Hajra (Sailen Mukherjee), a renowned para-psychologist decides to take him to Rajasthan so that Mukul can see the Sonar Kella, which he has been talking about regularly (though he is not able to recall the name of the place where it is situated). In the way, we have a treacherous murder attack, two fabulous imposters, awesome situational comedy, plenty of adventure and fabulous performances from everyone in the film. There is no one who doesn't do a great job. 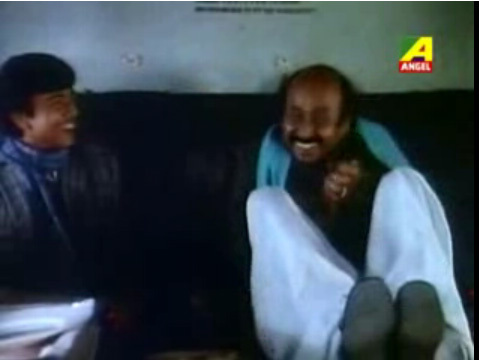 Even in his cameo, Haradhan Banerjee is sweet. 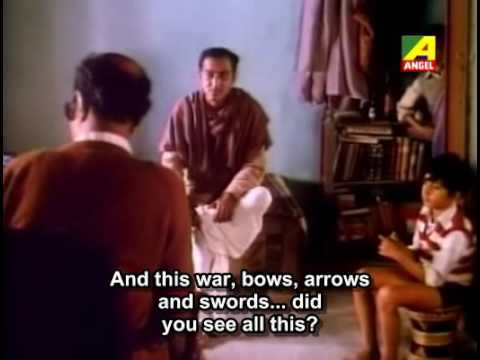 He tells his worrying wife that Topshe is getting the apt education for life from Feluda... something that no school or classroom can render. 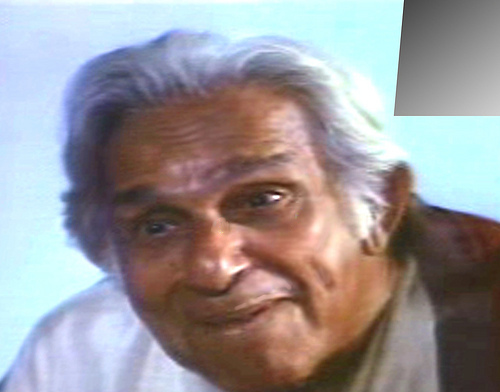 Harindranath Chatterjee is a sweet marvel as Sidhu Jetha. He is cute, intelligent, refined and so awesome. If it were not for him and Feluda I would have known what Sir William James Herschel is famous for. Hats off to Ray for choosing just the right people for these roles. 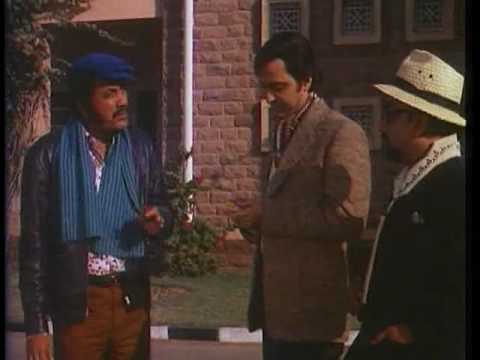 Then you have Topshe (Sidhartha Chatterjee), an enthusiastic cousin, student and sidekick to the private investigator. He is learning well from his brother, I must say. How come the later Topshe-s never matched up to him. This one is just perfect. 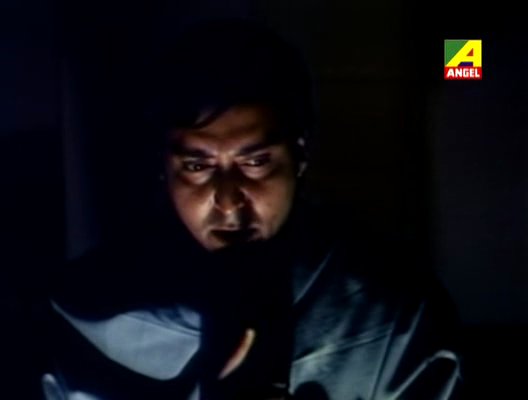 A wonderfully subtle foil to the flamboyant charisma of Feluda. 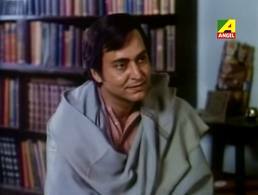 Soumitra Chatterjee is the best Feluda we could have ever had. He is smart, suave, disciplined and fast. With a razor sharp mind and keen observational skills, no problem is a problem for this super sleuth. Listen to him explain his actions. He justifies his moves, hence it is easy to learn from him. He chides Jatayu and enlightens him at every step. But he is not vain. It is a thorough joyride travelling with Feluda amidst the sand dunes of Rajasthan, in the dark compartments of the train, in the busy market areas of Jaipur and in the old lanes of north Calcutta. He is the Feluda we have grown up on. He is the Feluda we swear by. He is the Feluda we have learned to love. Thank you Ray for this awesome creation! Just look at the canvas of Sonar Kella. Right from the familiar roads of Calcutta, the sights and sounds of the stations, the hustle bustle of Jaipur to the arid landscape of Jaisalmer, Ray just makes you travel with his crew. As Felu and company race against time to get to Ramdeora on camels, we feel as if we are right there amidst all the action. The colours are vibrant yet dry, very true to the feel of Rajasthan. The rustic music wafts through the air and heightens the pleasure of the entire experience. Sometimes you wonder, is it a travelogue or a crime thriller? But it is both. What is Sonar Kella without the backdrop of the larger-than-life Golden Fort? Sonar Kella is a special film for me. I do not remember when I first saw it. But I do recall that whenever it was supposed to be aired on television my father and I used to be hyper-excited. No matter how busy my father was, he managed to wrap everything up at the nick of time so that we could sit down and enjoy the film together. On this my mother was heard saying in an exasperated fashion, "So how many times has it been now?" We chose to ignore the query. My father giggled and feigned forgetting many bits of the film. I did the same. Both of us royally bonded over this masterpiece. Commenting on your nice post on Sonar Kella will amount to repeating what millions have already said about the film: "Out of the world". In real life, the Jaisalmer fort is a must visit. Every lane that Ray showed stands thus, every nook, every brick, every colour on the sandstone... It's, to quote a stock exclamation of Jatayu: "Arebbaba!" Sharmi, I must see this film. I love the Feluda books, so I think this film must be really good. Thanks for sharing your memories of your father and you watching it together, time and time again. By the time I recovered from your awesome writing on Kalapani, here was another great one from you. I had all ( almost) the collection of Dev Anand and Shammi...Now Need to frisk the big boxes archived some where in the house. Whenever I go to Jaisalmir, I cd imagine the group. My favorite Feluda remains "Jae baba Felunath "
Like Banno, I'm a fan of the Feluda books - and have been told how good Sonar Kella is. Now I must get hold of the film! That was a nice read particularly the bit about your holiday. I have read the stories and seen quite a few of the Feluda films. I love the way Satyajit Ray handled his child actors. I read somewhere that during the shooting one day little Kushal went on asking Ray endless questions and Ray very patiently replied to all his queries. And please would love a post on Joy Baba Phelunath!! Sharmi I have seen Sonar Kella several times. This one is superb. The casting for Feluda, Jatayu and Topse couldn't have been better.